Known as an action RPG world’s best ARPG style Diablo, Torchlight was developed by Runic Mobile Game – father of the legendary game series I and II Torchlight on PC. The project is run by Max Schaefer – a former vice president of Blizzard North, is the author of the classic Diablo games. Built a miniature paintings, Torchlight Mobile recreate fanciful world with platform 3D graphics full of sharp, keeps the whole air tight guillotine GMO according to European style inherent but hidden feelings slightly ma melancholy and full of mysterious hit the curiosity that is oriented titles. 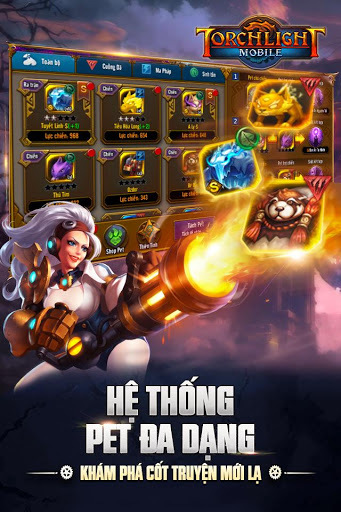 With 4 character classes and how to build a diverse character must Torchlight Mobile will satisfy the most demanding gamers. 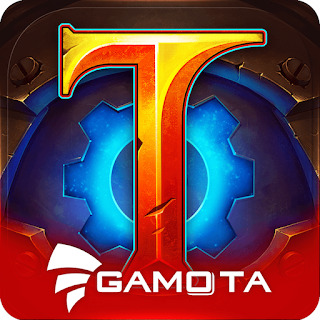 Like the PC version, Torchlight Mobile focused on exploring and conquering different dungeons. 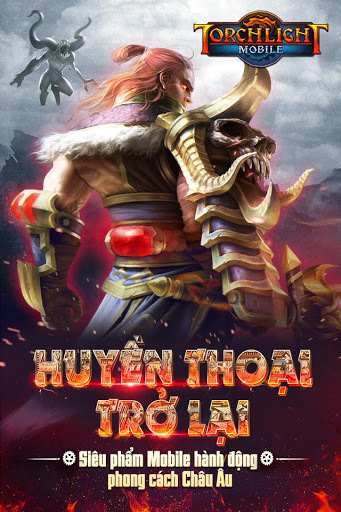 Each screen play are really difficult and challenging as always appears the tough Boss. To defeat them, players need to team up with different character classes and make plans to fight. Not alone, in-game pet system is also extremely rich for the players more choice like the best companion. 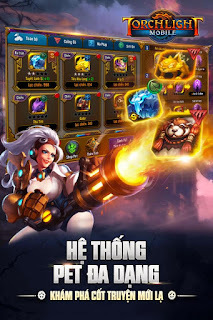 Add a special element can not be ignored in order to make up the difference for Torchlight Mobile: players can create their own skill chain to cast many different effects in damage. That’s how players create their style of Torchlight Mobile. 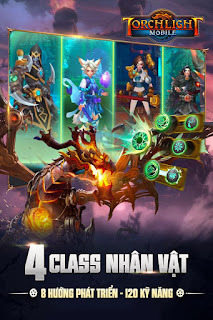 Meet the expectations of gamers Vietnam, Torchlight Gamota Mobile was released exclusively in Vietnam market, promising gamers bring unique experience and the best. 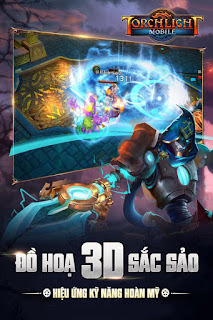 ++ Battlefield System Ash stayed with the competition category as Moba, robbed Boss …. ++ Many extremely exciting mini games: Pedal spiders, pacman ..